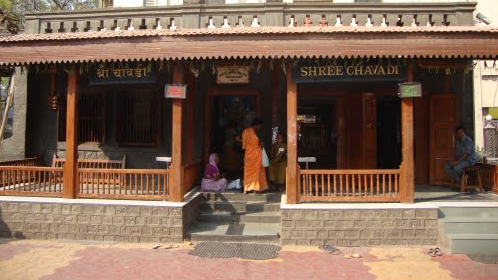 Devotees of Sai Baba and numerous people who have visited Shirdi know the importance of Chavadi. The term was used to describe the village office used for keeping records, collecting taxes and welcoming visiting officials. During the later part of his life, the revered saint used to spend his alternate nights at this place. This routine began during a stormy night when it was raining heavily and the devotees had to move Sai Baba from Dwarkamai. Walls of the mosque had began leaking and devotees had to force the saint to leave his preferred place to spend nights. Every year, people on a Shirdi holiday for a few days or a week, make a visit to this revered site after seeking the blessings of Shri Sai Baba at the main temple. Chavadi has also played a significant role in instituting a formal worship of Sai Baba by offering a ritual called 'Sej Aarti' upon his arrival from the mosque. In the morning, when he woke up at Chavadi, another ritual called 'Kakad Aarti' was offered to him. Today, many devotees and pilgrims make a trip from cities like Mumbai to Shirdi with their entire family to seek the blessings of Shri Sai Baba. They would find a large portrait of the saint, a wooden bed on which he was bathed when he passed away, and a wheelchair presented to him while he was suffering from Ashtama at this site. People coming to Shirdi for visiting Sai Baba Temple and other places of interest around the holy town are always in need of a comfortable place to stay. Booking an accommodation in any of the hotels near Sai Baba Mandir would make it very convenient for them to visit the temple. Modern amenities provided in most of these hotels would make staying in them a memorable experience.